KEEPING SCORE: Japan’s Nikkei 225 index jumped 0.8 percent to 22,178.40 as a private survey suggested a recovery in manufacturing in October. The Shanghai Composite index, which closed more than 2 percent lower on Tuesday, jumped 0.6 percent to 2,609.79. 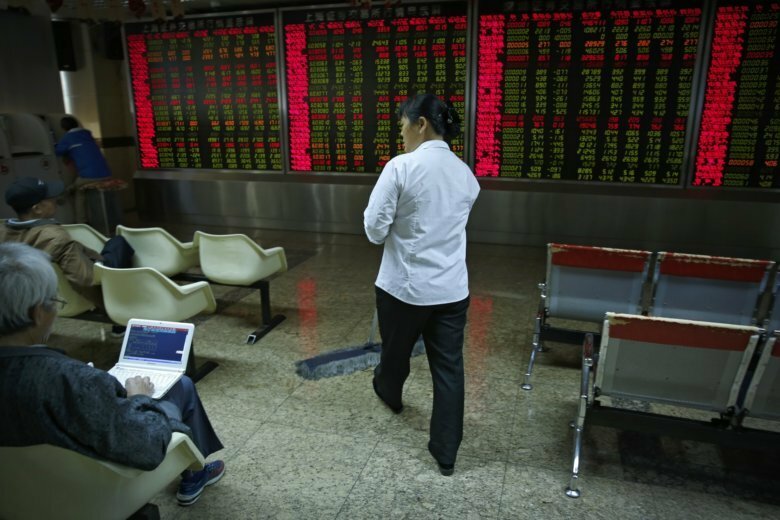 Hong Kong’s Hang Seng index was flat at 25,347.78 and the Kospi in South Korea dropped 0.3 percent to 2,100.71. Australia’s S&P-ASX 200 lost 0.2 percent to 5,829.00. Shares were lower across the region apart from in Singapore. U.S. EARNINGS: Sentiment was dampened as large U.S. companies kicked off a busy earnings week with warnings of rising costs related to tariffs. Heavy equipment maker Caterpillar posted a larger profit and revenue than expected in the third quarter. But the company said Trump’s taxes on imported steel were driving up production costs, causing its shares to slip 7.6 percent to $118.98. 3M, the maker of Post-it notes and ceramic coatings, reported disappointing revenues and said it anticipates about $100 million in extra costs next year. That sent its shares tumbling 4.4 percent. The U.S. and China are locked in a trade dispute over technology and have raised tariffs on billions of dollars of each other’s goods. ANALYST’S TAKE: “The likes of Caterpillar Inc. and 3M Co. were seen undermining market confidence with the forecasts of weaker earnings ahead and reminders of rising costs amid the escalating trade tensions,” Jingyi Pan of IG said in a market commentary. JAPAN FACTORY OUTLOOK: A rise in the preliminary, or “flash” purchasing manager’s index, to 53.1 in October from 52.5 the month before raised hopes that recent sluggishness in manufacturing demand may have been transient. A revival in new export orders, to 51.7, a seven-month high, was viewed as especially good news given concerns over China-U.S. trade tensions. Readings above 50 in the survey indicate expansion. Joe Hayes, an economist at IHS Markit, which compiles the survey, said it “indicated stronger expansions in all the key barometers of macroeconomic health”.